After my last post , I received a new “follow” from Lady Heather Hall, who is also a maker of cards as part of her activities with the Society for Creative Anachronism in the U.S.A. Her cards look great, and it got me thinking about why we love this little corner of world culture, enough to make our own packs. There are many clubs around the world that are dedicated to the study and collection of playing cards. 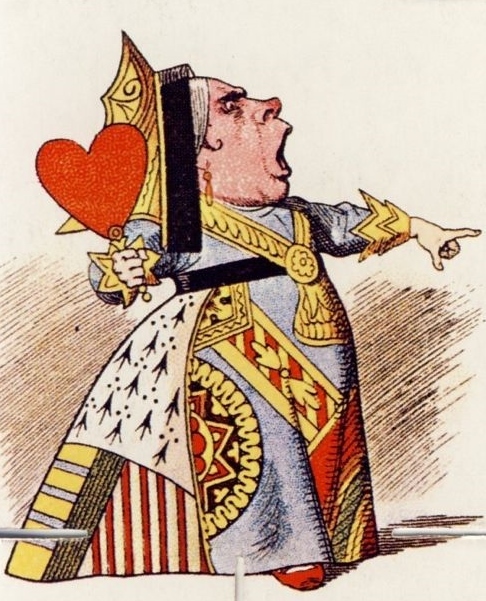 In the U.K., the best known are the International Playing Card Society http://www.i-p-c-s.org/ which has a very wide scope of interest, and the English Playing Card Society, http://www.wopc.co.uk/epcs/index.html which focuses on English manufacture. The IPCS publish pattern sheets, so that members may identify the cards that come into their hands. It’s fascinating that two or three hundred years ago, someone decided that the patterns on court cards produced in different French towns should be standardised, so that e.g. a King of Clubs must look one way in Lyons, and another way in Paris. Who was that man? An aristocrat of the ancien regime, perhaps, with too much time on his hands, but his long-ago efforts turned out to be not so futile, as far as collectors are concerned. 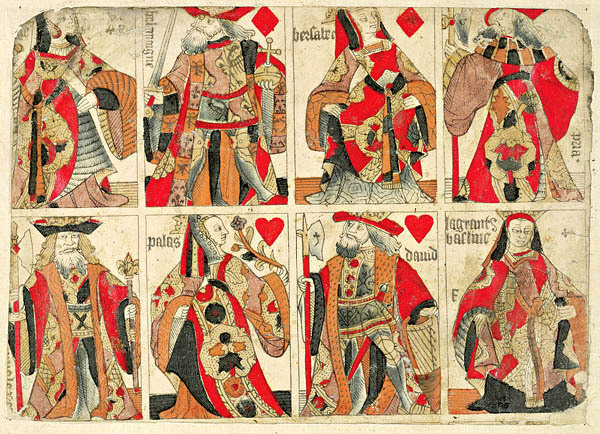 Such restrictions are now abolished, and the classic concept of the pack of cards provides a great springboard for artistic imaginations worldwide – riffing on those 12 images that are now archetypes. They never become tired, and that’s why we never tire of them .